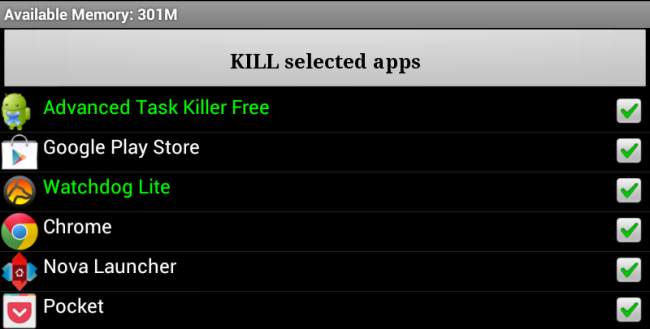 Some people think that task killers are important on Android. By closing apps running in the background, you’ll get improved performance and battery life – that’s the idea, anyway. In reality, task killers can reduce your performance and battery life. Task killers can force apps running in the background to quit, removing them from memory. Some task killers do this automatically. 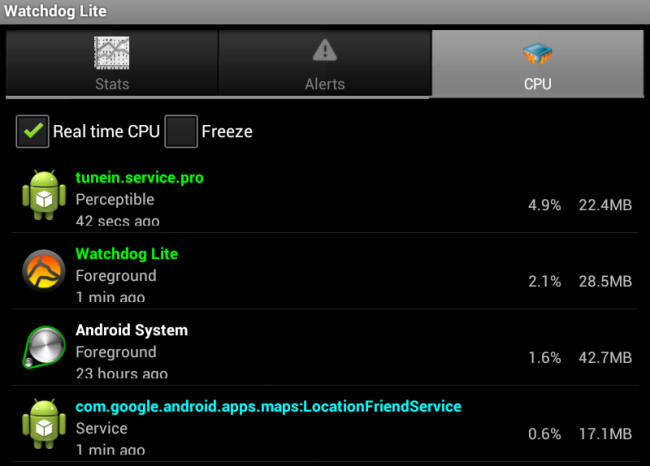 However, Android can intelligently manage processes on its own – it doesn’t need a task killer. Most Android users are familiar with Windows. On Windows, many programs running at one time – whether they’re windows on your desktop or applications in your system tray – can decrease your computer’s performance. Closing applications when you’re not using them can help speed up your Windows computer. However, Android isn’t Windows and doesn’t manage processes like Windows does. Unlike on Windows, where there’s an obvious way to close applications, there’s no obvious way to “close” an Android application. This is by design and isn’t a problem. When you leave an Android app, going back to your home screen or switching to another app, the app stays “running” in the background. In most cases, the app will be paused in the background, taking up no CPU or network resources. Some apps will continue using CPU and network resources in the background, of course – for example, music players, file-downloading programs, or apps that sync in the background. Proponents of task killers notice that Android is using a lot of RAM – in fact, Android stores a lot of apps in its memory, filling up the RAM! However, that isn’t a bad thing. Apps stored in your RAM can be quickly switched to without Android having to load them from its slower storage. Empty RAM is useless. Full RAM is RAM that is being put to good use for caching apps. If Android needs more memory, it will force-quit an app that you haven’t used in a while – this all happens automatically, without installing any task killers. 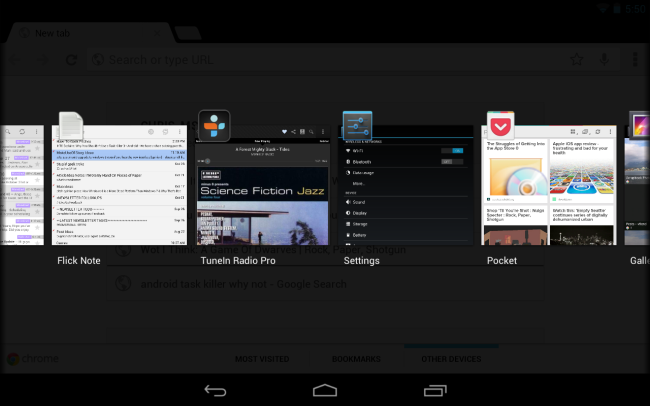 Task killers think they know better than Android. They run in the background, automatically quitting apps and removing them from Android’s memory. They may also allow you to force-quit apps on your own, but you shouldn’t have to do this. Task killers aren’t just useless – they can reduce performance. If a task killer removes an app from your RAM and you open that app again, the app will be slower to load as Android is forced to load it from your device’s storage. This will also use more battery power than if you just left the app in your RAM in the first place. Some apps will automatically restart after the task killer quits them, using more CPU and battery resources. Whether RAM is empty or full, it takes the same amount of battery power – decreasing the amount of apps stored in RAM won’t improve your battery power or offer more CPU cycles. At this point, there are probably some people who are thinking that this isn’t true – they’ve used a task killer in the past and it’s helped increase their battery life and improve their Android phone’s performance. This may actually be true. If you have a bad app that’s using CPU and other resources in the background, a task killer that closes the misbehaving app can improve your battery life and make your phone faster. However, using a task killer to deal with a misbehaving app is like using a shotgun to kill a fly – you may fix your problem, but you’re inflicting a lot of other damage in the process. CyanogenMod, the popular community-developed Android ROM, won’t even accept bug reports from users using task killers, saying that they cause more problems than they solve. In summary, you shouldn’t use a task killer – if you have a misbehaving app wasting resources in the background, you should identify it and uninstall it. But don’t just remove apps from your phone or tablet’s RAM – that doesn’t help speed anything up.